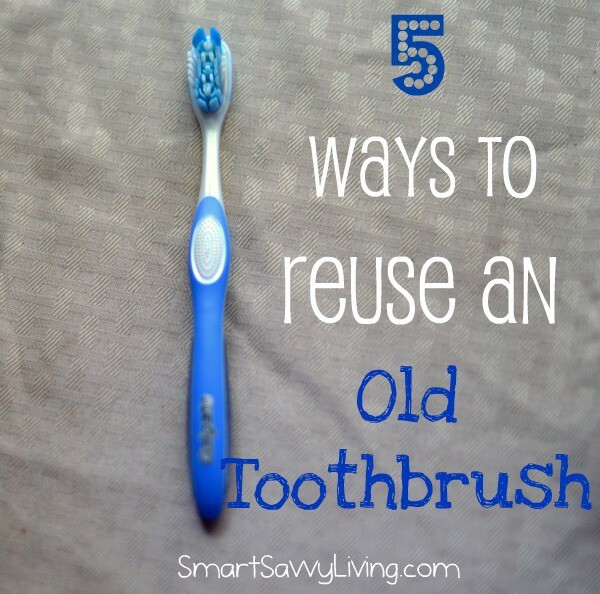 This post about 5 ways to reuse an old toothbrush is sponsored. I am a member of the Collective Bias® Social Fabric® Community. This shop has been compensated as part of a social shopper insights study for Collective Bias and their client. I’ve always used the old manual toothbrushes. I’m usually one of the first followers when it comes to new tech, but not when it comes to dental health, apparently. I’m not sure why, really, though I think part of it was that I wasn’t sure I’d really enjoy a powered toothbrush, plus they are generally pretty expensive. Did you know that manual toothbrushes are actually a technology that’s around 5,000 years old? Yikes! This neat toothbrush video shows how they’ve evolved over the years. 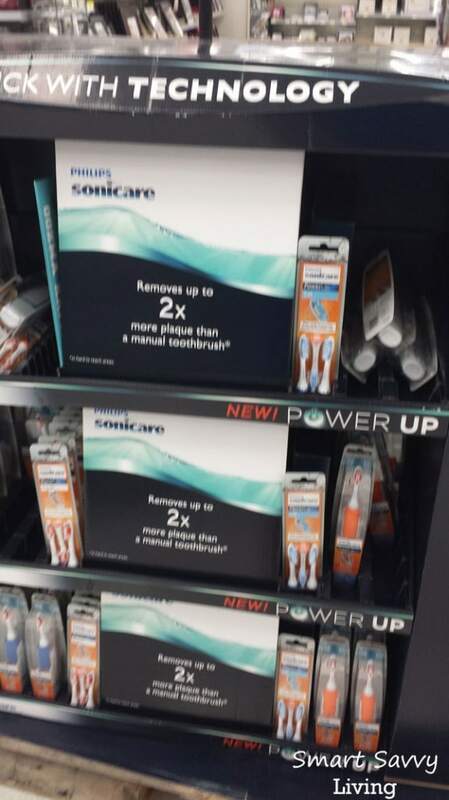 I was browsing Walmart the other day as I remembered it was about time to change out my toothbrush when the new Sonicare PowerUp toothbrush for under $20 caught my eye. I decided to give it a try since it was much cheaper than the $100+ electric brushes I was used to seeing. I love that the Sonicare toothbrush runs on batteries so I don’t have to have any extra and potentially dangerous plugged in wires around the bathroom sink. The brush portion itself easily twists off and is replaceable so it’s pretty affordable over time, too. However, the most important part would be if it could live up to its “A month’s worth of brush strokes in a day” claim. I was especially interested since with my usual dental regimin I feel like my whole mouth feels really clean, but that my teeth sometimes still have a bit of the harder tartar left behind, ick. So, for the past week or so I’ve been using the Sonicare PowerUp twice a day. How do my teeth feel now? Better than ever, honestly! It did take a little bit of getting used to the first couple days as the vibrating sensation was really foreign to me. However, I’m now sold that it helps get my teeth their cleanest clean. Plus, since the toothbrush automatically turns off after 2 minutes, I know I’m brushing my teeth and gums as long as I should be. I’m pretty sure I wasn’t brushing quite long enough before! So, I’m now left with an old manual toothbrush, but I’m not one to just throw something used away. In fact, I remember my own mom constantly using things like toothbrushes and old socks, etc. for cleaning. 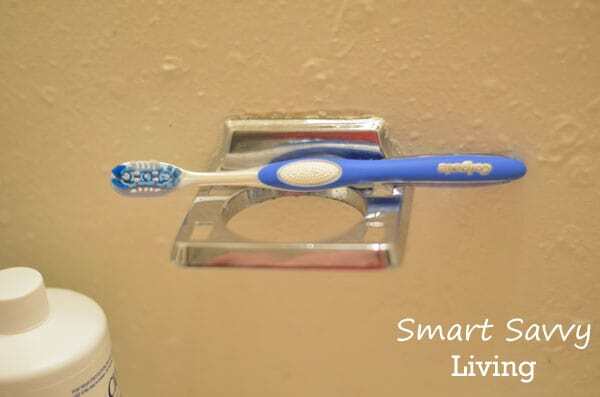 This made me inspired to think of a few ways to reuse old toothbrushes. 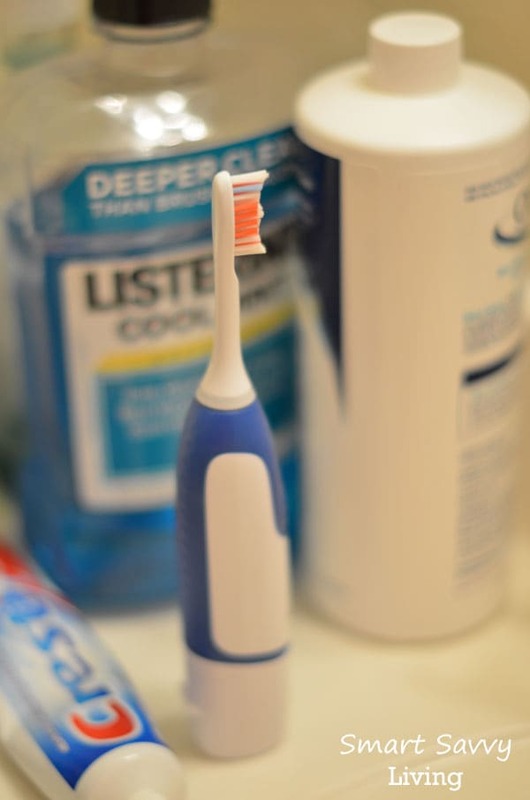 Just make sure you thoroughly clean the toothbrush by swishing it around in something like Listerine for at least 30 seconds, rinsing with clean water and then allowing to thoroughly dry. A dry toothbrush means bacteria can’t grow, so I like to store mine in a window that gets a lot of sun. 1. Clean up grout. My mom mainly used toothbrushes to clean grout in the kitchen and bathrooms. Those small bristles do a great job of getting down in there to get all that icky grime out. 2. Clean jewelry. If you have any pieces of jewelry you wear most days, you know they definitely need a cleaning now and then. I like using an old toothbrush to help clean out all the little crevices of dust and dirt, much better than a cloth can. 3. Brush your eyebrows. I tend to go back and forth from sleeping on my side and stomach, which means I rub my eyebrows against the pillows a lot and often wake up looking like my eyebrows had a nice case of static. Yeah, I think Mr. Savvy might still be getting used to that one nearly 5 years later. ;) Using a thoroughly cleaned old toothbrush to tame my brows means one less beauty item I have to buy. 4. Clean your fingernails. I like to garden (aka play in dirt) and am pretty hands on in the kitchen. That means some funky stuff can sometimes end up under my nails. Instead of buying a pricey nail kit that includes a fancy brush to clean my nails with, I just use an old toothbrush. 5. Clean anything with tight spaces/corners. There’s always something you’re trying to clean that has tight spaces that your hand just can’t reach like toilets, faucets, tools, electronics, etc. I like using old toothbrushes to help clean things like this instead of trying to do weird yoga positions with my arms and hands. Just make sure to be gentle so nothing gets scratched. 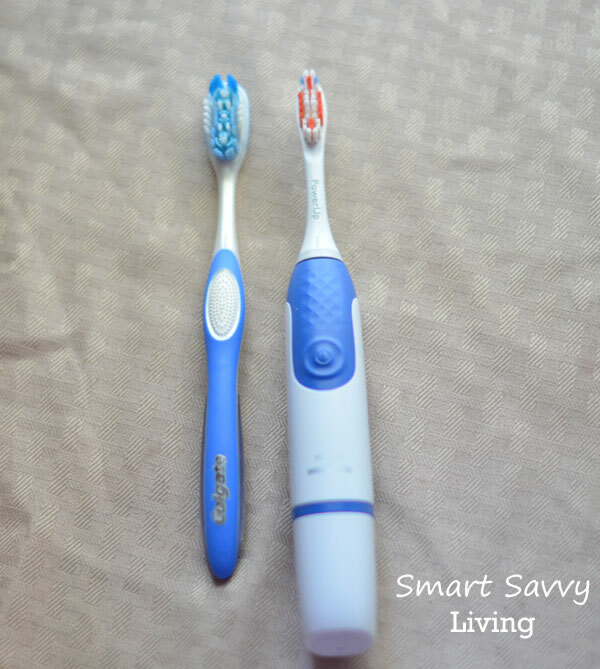 I hope you enjoyed these 5 Ways to Reuse an Old Toothbrush After the Sonicare Powerup! « What is Your Most Memorable Mommy Moment? Thanks for these tips. I am going to try them out. I’m just like you…I have the latest tech a lot of the time, but apparently not when it comes to toothbrushes! I still haven’t gotten a powered toothbrush (never used one), but I’m going to get the PowerUp. My husband is excited…it’s been a while since he had a powered one. Brandie, I don’t think I’ll ever be able to go back to manual now! I love how my teeth literally feel like I just had a dentist’s cleaning after each brushing.